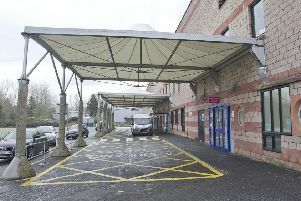 Background reports have been ordered on a Galashiels man after he admitted a drugs offence. Neil Pindel, 35, pleaded guilty to possession of alprazolam in Hawthorn Road, Galashiels, on October 27. Selkirk Sheriff Court was told that police officers had been called out in relation to another matter, and when Pindel was searched, 151 tablets of the controlled class-C drug were found on him. Mat Patrick, defending, said his client is struggling at the moment with drug addiction. Sheriff Peter Paterson deferred sentence until May 7 for reports including a drug treatment and testing order assessment.